(left to right) Assoc. 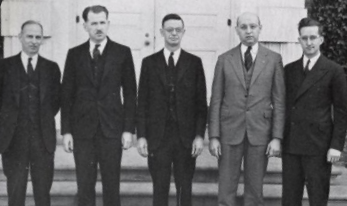 Prof. L. Blumberg, E.E., M.E; Mr. J. L. Coyle; Dean R. L. Spencer, B.M.E; Asst. Prof. W.F. Lindell, B.M.E., E.E; Dr. D. U. Greenwald, S.B., Ph.D. 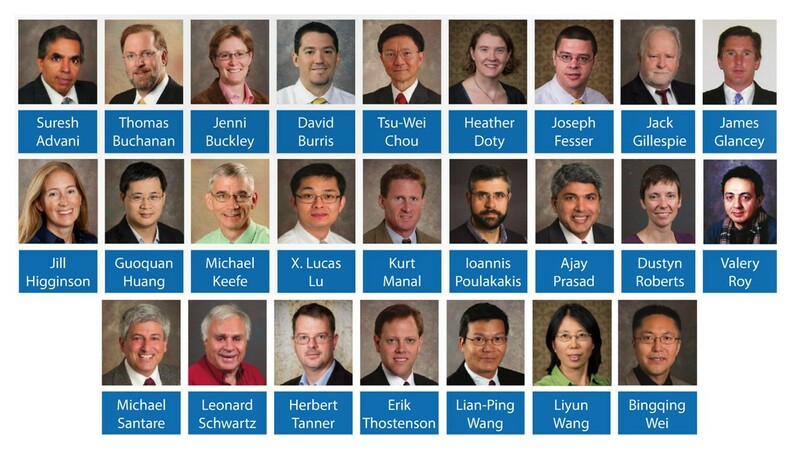 Learn more about our current faculty here.